2015-16 was the first operating year of Malaria Consortium’s new five year strategy 2015-2019. We continued to deliver on our mission to improve lives in Africa and Asia through sustainable, evidence-based programmes that combat targeted diseases and promote child and maternal health. 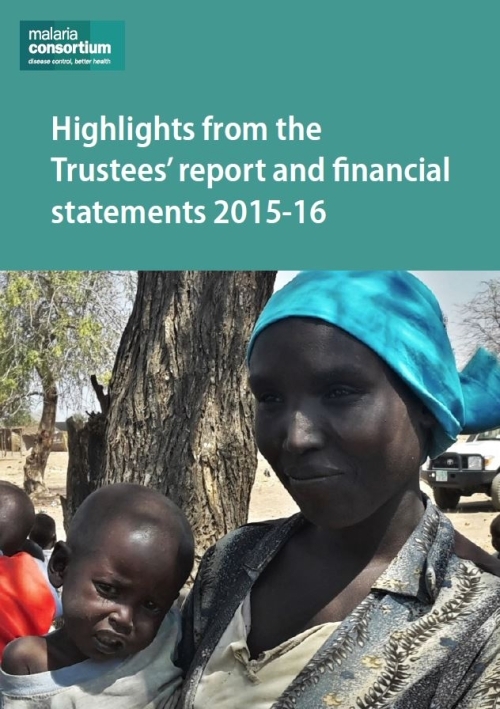 Our highlights from the Trustees' report and financial statements 2015-16 presents a selection of key achievements and challenges for the year. The full Trustees’ Report and Financial Statements For the Year to 31 March 2016 is available to download here.